If you’re a US citizen living abroad, then you will need to convert your foreign assets to USD for tax purposes. 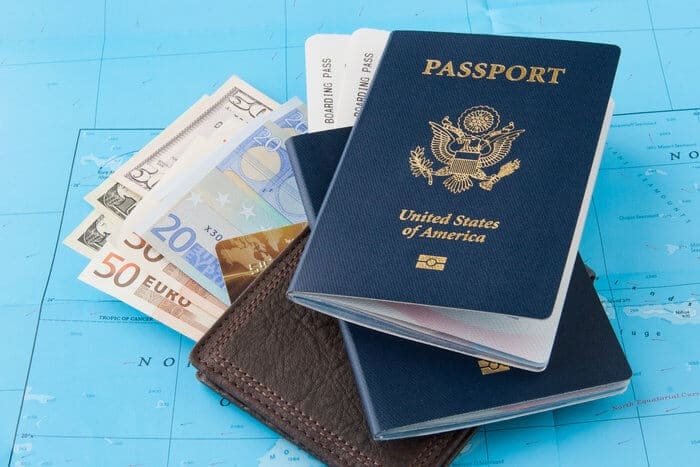 If you are a US citizen living abroad, you are required to file your annual taxes based on your worldwide income, not merely income earned in the US. This means that any foreign-earned salary as well as foreign-earned interest, dividends, pensions, capital gains on sales of real estate or investments, annuities, or IRA distributions are all subject to the long arm of Uncle Sam’s tax collector. Your global income must be reported in US Dollars (USD), which means all foreign-sourced income (and expenses), regardless of type, must be converted from its “functional currency” to USD. “Functional currency” is the currency of the primary economic environment in which an entity operates. If you live and work in China, for instance, it’s likely your wages are paid in Chinese Yuan (CNY). Or, if you own a Chinese-based bank account, that bank’s primary economic environment is China, so its functional currency would also be CNY. To calculate the US dollar value of foreign assets, take the foreign amount and multiply it by the appropriate currency exchange rate. That seems simple enough, but where do you find the correct exchange rate? How do you know an asset’s value? Are there approved IRS currency exchange rates you can use? The above statement is also in IRS Publication 54, (Pub 54) “Tax Guide for U.S. Citizens and Resident Aliens Abroad.” Expats and alien resident taxpayers rely on these instructions when completing their income tax returns. Pub 54 also advises taxpayers (on page 4) to perform the foreign-to-USD currency conversion on the date of the transaction. 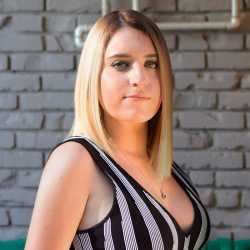 While no specific banks or embassies are mentioned, there are links to three popular currency exchange sites: oanda.com, xe.com and x-rates.com. If you need historical rates, meaning exchange rates from any day other than the 31st of the current year, those are available on each site as well. Before you can convert your foreign asset’s value into USD, you must first determine its maximum value. This is simply a reasonable approximation of the greatest value of currency or non-monetary assets in the account during the calendar year. Financial accounts maintained at financial institutions outside the United States, such as bank accounts, investment accounts, and mutual funds. Stocks, bonds or other securities issued by a non-U.S. person and not held through an investment account. Any interest in a foreign entity, such as a foreign corporation, foreign partnership, or foreign trust. Any financial instrument or contract that has an issuer or counterparty that is not a U.S. person. The IRS says that you may rely on periodic account statements for the tax year to report a financial account’s maximum value unless you know or have reason to know (based on readily accessible information) that the account statements do not reflect a reasonable estimate of the maximum account value during the tax year. For an investment asset that is “not a financial account maintained in a financial institution” but is otherwise held for investment, you may use the value as of the last day of the tax year unless you know or have reason to know that the value does not reflect a reasonable estimate of the maximum value of the asset during the year. For example, you may own a publicly traded foreign stock not held in a financial account. As of December 31st, the converted-to-USD fair market value is $100,000. Suppose, however, that based on daily price information that is readily available, the 52 week high trading price results in a maximum value of the stock (as converted to USD) of $150,000. This higher amount is the value you must report for US tax purposes. The above two scenarios provide guidance on computing maximum value, but they say nothing about the currency exchange rate to be used. The instructions for Form 8938, “Statement of Specified Foreign Financial Assets,” however, do offer specifics with respect to currency exchange rates. Page four of the instructions under, “Valuing specified foreign financial assets,” state that “the value of the foreign financial asset, during the tax year or on the last day of the tax year, is the asset’s fair market value.” The instructions further define fair market value as “the maximum value of your beneficial interest” in whatever the foreign asset is – whether it’s an estate, pension plan, or deferred compensation plan – as of the last day of the tax year. So, once the maximum value of the asset is determined in its foreign currency, it then must be converted into US Dollars. Form 8938 instructions say that “in most cases, you must use the US Treasury Bureau of the Fiscal Service foreign currency exchange rate for purchasing US Dollars,” which is found on the US Treasury’s website here. Through US Treasury Bureau, you can not only access the current exchange rate as of December 31st, but also historical exchange rates. Prior years, divided into quarters, are available as far back as 2001. Both current and historical tables list exchange rates for just about every country from Afghanistan to Zimbabwe. Publicly available foreign currency exchange rates can be found the sites previously mentioned: oanda.com, xe.com and x-rates.com. In general, the IRS will allow you to convert the value of your assets using any reputable source for exchange rates. 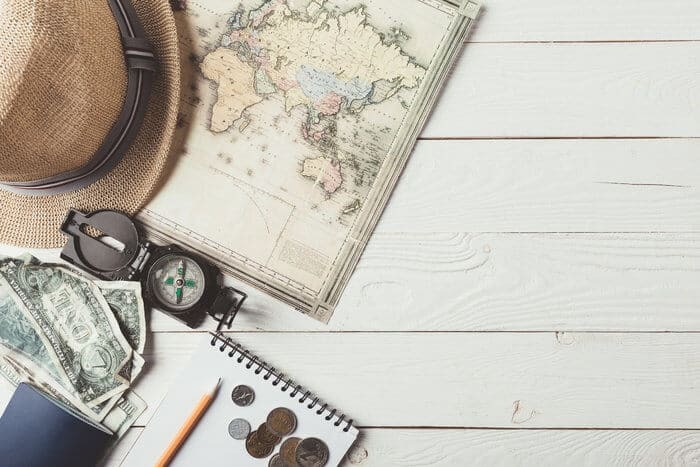 As an expat, you may have more than the usual load of paperwork that taxpayers must deal with when it comes to US taxes. Besides your regular return Form 1040-NR and schedules, you also may have to file Form FinCEN 114, “Report of Foreign Bank Accounts and Financial Accounts” (FBAR). FinCEN is the shortened name for the Financial Crime Enforcement Network, and it is a Bureau of the US Treasury Department. It was created in 1990 to enforce the provisions of the “Bank Secrecy Act” (BSA), passed in 1970. The BSA was enacted to aid the US government in tracking large, illicit deposits of cash and negotiable instruments used in money laundering schemes. In later years, it was critical in the war on drugs by helping expose large drug trafficking operations. Some provisions of the BSA were amended by the Patriot Act to give the Treasury more bite in to thwart the financing of terrorist activities. The FBAR replaced Form TD F 90-22.1 (“Report of Foreign Bank and Financial Accounts”) in 2013. You must file an FBAR if you have a financial interest in or are a signature authority over a foreign financial account or accounts whose combined value is $10,000 or more in any calendar year. Foreign financial accounts include not only bank accounts, but brokerage accounts, mutual funds, trusts, or other types of foreign accounts, including some foreign retirement arrangements. 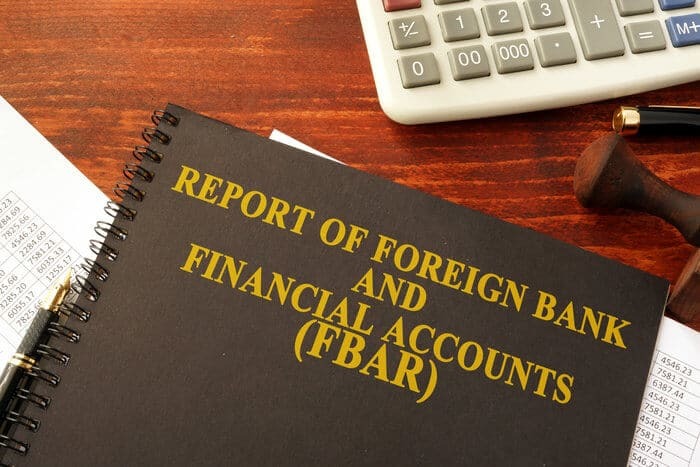 Any qualifying foreign account located outside of the 50 states, Washington, DC, US possessions, and tribal territories is considered a “foreign” account for FBAR purposes. The FBAR should not be included with your tax return. It must be filed separately online via theBSA E-Filing System by April 15th. If you miss that filing deadline, FinCEN will grant an automatic six month extension to October 15th. For the FBAR, use maximum valuation that is approximate to the asset’s greatest value during the calendar year to determine the foreign value to be converted to USD. You may rely on periodic statements if you have them. For conversion into USD, FBAR instructions direct you to use the Treasury’s Financial Management Service Rate, or if that’s not available, you may use another verifiable exchange rate. There are significantly higher thresholds of total asset value required before you need to file Form 8938. 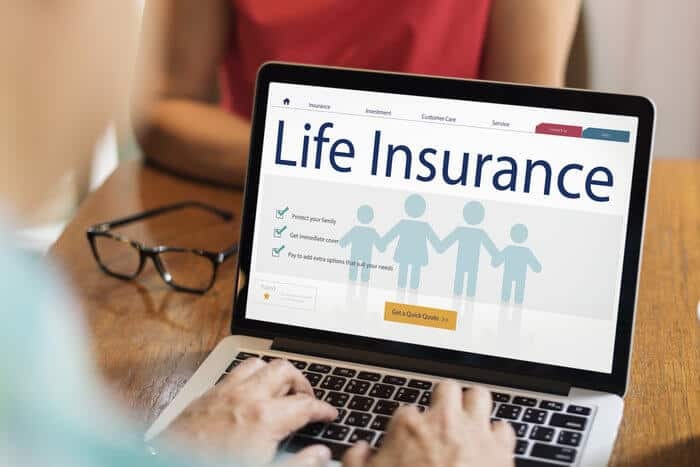 Amounts vary and are dependent upon your filing status (single, married filing separately, or married filing jointly) and whether you are a US resident or US taxpayer living outside of the US. 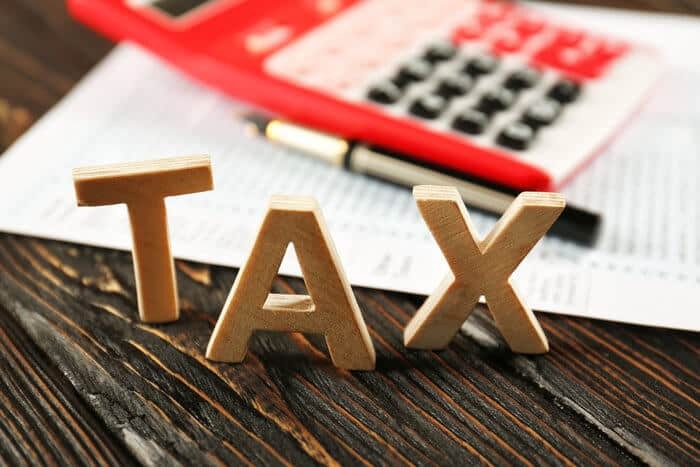 For unmarried resident taxpayers, you must file if your total asset value exceeds $50,000 on the last day of the tax year and was more than $75,000 at any time during the year. For US residents who are married filing jointly, the thresholds are $100,000 and $150,000, respectively. The thresholds for unmarried, non-US resident taxpayers are $200,000 and $300,000, and for married filing jointly non-US residents, the thresholds are $400,000 and $600,000. In both situations, for married taxpayers filing separately, the threshold amounts are the same as for unmarried taxpayers. As with the FBAR, the form instructions tell you to use the maximum valuation approach when preparing Form 8938. With respect to the currency exchange rate, the instructions direct you to use the applicable rate published on the Treasury website’s, Financial Management Service Rate. If that rate is unavailable, you may use any other verifiable exchange rate. While it appears there are multiple guidelines in various IRS publications with respect to what foreign currency exchange rates should be used when converting asset values into USD, the agency does state on its website that it has no official exchange rate and generally will accept any posted exchange rate that is used consistently. The Nomad Tax Team is our team of accountants and tax experts around the world. Together with our editor, they write about various tax laws, forms, and regulations every Nomad Capitalist should be aware of. If you'd like to work with us and our tax team, click here. Can you please explain what is the logic of reporting ‘Maximum balance’. It could be a misleading number. Let us presume that I have $100,000 in a bank account. Now I move it to a brokerage account and trade stock with that money. Within the same year, I close the brokerage account and open another one and use the same money to trade stock in that account. Finally I close the 2nd brokerage and bring the money back to my second bank account. Now all 4 accounts will report a maximum balance of $100,000. That does not make me have $400,000. How does this information help the IRS/Treasury.